Home › Blog › Summer Musicians Wanted! Are you interested in performing in church? All you need is the desire. There are opportunities for those with talent and those who just want to learn and develop! Sterling United Methodist Church has an awesome music program that includes the choir that performs at the 9 AM service, our Latino musicians at 10 AM, the praise band that performs at the 11 AM service, the bell choir and percussion group, the children’s choir, and the special performances we are treated to like the cantatas and the musical. Now there is an opportunity for you to share your talents by being part of our summer music program. 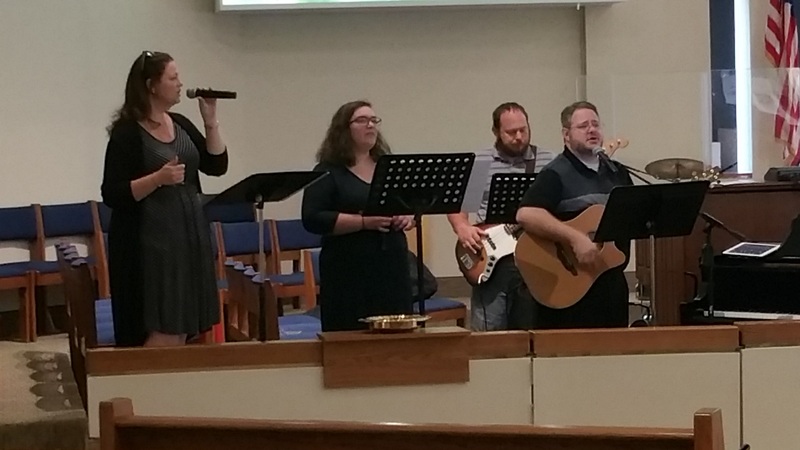 Our Director of Music Ministries, Willis Rosenfeld, is looking for those who would like to share their musical talents with our congregation in any way, style, or form. All types are welcome—singers, flautists, tubas…whatever you feel inspired to share that will inspire our congregation in worship! Or you can join the Summer Choir! All singers are welcome to join the choir at the 9:00 AM service on Sunday morning. Come drop in, even just for one Sunday, and lift your voice with us. Rehearsals will be on Sunday mornings at 8:15 AM to prepare for the service at 9:00 AM so no extra evening practices required! And no previous experience is necessary, just a desire to sing to the Lord! There is a sign up on the choir room door where you can indicate your desire to share your musical talents with our congregation. You can sign up for as many services as you wish. Willis will contact you as we approach your Sunday to coordinate. Do you not have any experience but would like to try your hand at music? Then join our Drumming in the Spirit 101 group! This group will meet twice this summer for a practice followed by a performance. The first session on June 28 to prepare for a presentation on July 1st. The second practice will occur on July 26 with a performance on July 29. No experience necessary! Open to ages 6th grade to seniors! For questions about Drumming in the Spirit email Jack Layne at ljacklayne @gmail.com. for more information or if you have any questions!